We are a leading Manufacturer of roller ovens, drum heating ovens and drum heating oven from Mumbai, India. We are actively engaged in manufacturing, exporting and supplying an excellent range of Roller Ovens. Our offered ovens are designed by using premium quality components and cutting edge technology in line with industry norms. Used in various industrial and commercial sectors, our quality experts test these ovens on different parameters in order to offer flawless products at clients' end. We offer these ovens to our clients at industry leading prices. FOwing to the dedication of our diligent professionals, we have earned a reputed name in manufacturing, exporting and supplying the finest quality assortment of Drum Heating Ovens. Used for Heating Lube Oil offered heating ovens are highly praised by the clients for their different quality features like light weight and accurate dimension. Apart from this, we provide these heating ovens in variegated sizes, designs and specifications. 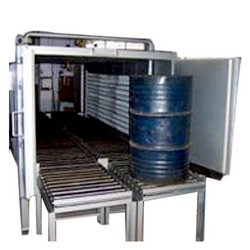 The Drum Heating Ovens are available in various sizes and configurations. 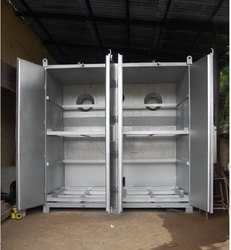 Please inform us about your end production needs and a suitable Standard/Custom Built Solution will be offered. 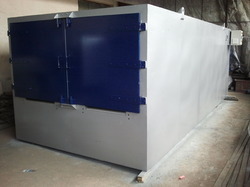 With the valuable assistance of skilled team of professionals, we are offering an extensive quality Drum Heating Oven. Used in various industries for Melting /Heating 220 lts Drum Contents Viz Liquids/Waxes/Bitumen /Lube Oil ,provided heating oven is highly praised in the market for their varied quality features. Our offered heating oven is manufactured using premium quality components and the latest technology under the guidance of our adroit professionals. 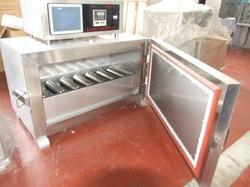 Moreover, this heating oven is available in different designs and specifications. This heavy duty Drum Heating Oven manufactured by us is known for the commendable heating it provides. The raw materials used in its making, gives the product an impeccable structure and superior durability and sturdiness. Made available to clients in several specifications and at the best price possible, its preference in the market is quite high. Steam Heated/Electrically Heated/Thermic Fluid Heated.